Hosni Mubarak, Egypt's deposed president, could be released as soon as this week, according to authorities. On Monday, Egyptian judicial officials announced that they have no reason to hold the country's former president and could free him in a matter of days. A court ordered his release following a corruption case that alleged he and his sons had embezzled money for palaces. Mubarak was also on trial for illegal earnings and is being retried for allegedly killing protestors during the 2011 uprising that led to his removal. He has reached his two-year limit in custody while awaiting a verdict. 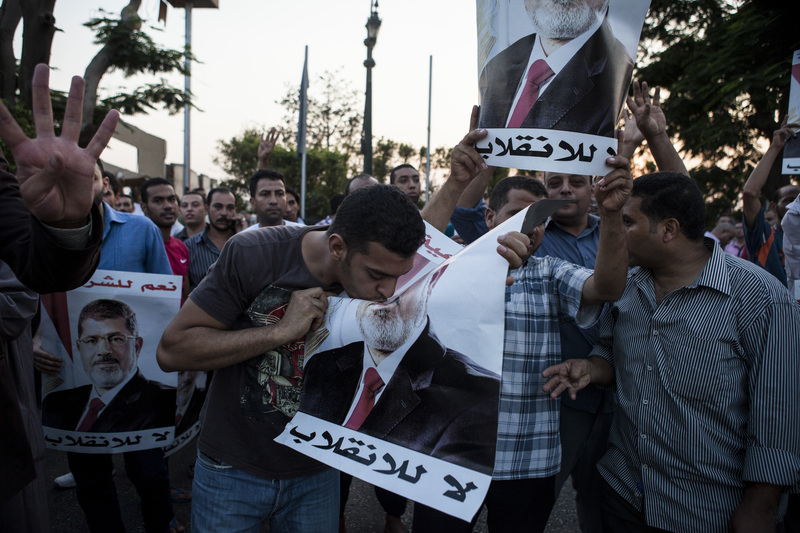 The news comes on the heels of two more days of bloodshed in the country as supporters of Mubarak's successor, the ousted Mohammed Morsi, clashed with state security forces. European Union leaders also said Monday that they will meet later in the week to reassess the more than $6 billion aid the nation's provide to Egypt. On Sunday, Egyptian security forces killed 36 detainees during an alleged prison escape attempt. According to Egyptian officials, the 36 individuals were part of a 600-prisoner convoy headed to the Abu Zaabal prison. The killings reportedly occurred when a group of prisoners started rioting and managed to capture a police officer. Security officers then fired tear gas into the truck. Authorities said that the prisoners died of suffocation due to the gas. State media offered a different account, which included the detainees being caught in rounds of gunfire when they attempted to escape after clashes between the police and militants near the prison. The New York Times reports that the deaths are the fourth mass killing to occur in the country since the July 3 overthrow of Hosni Mubarak. Sunday’s slaughter marks the largest number of civilian deaths to occur while victims were in government custody. Militants responded on Monday, ambushing two mini-buses full of off duty police officers near the border town of Rafah on the Sinai Peninsula, executing 25 officers. The continued bloodshed provoked the country’s Interim President Gen. Abdel-Fatah el-Sissi, to make his first public statement since the latest round of violence erupted. In his speech on Sunday El-Sissi condemned the rioters. "We will not stand by silently watching the destruction of the country and the people or the torching the nation and terrorizing the citizens," El-Sissi said. He also went on to call for further inclusion of Islamists in the country’s political future.